I'm not doing Mary Shelly's Frankenstein. I'm doing an adventure story that involves the creature. I cannot say much, but it's not the central creation story, I'm not worried about that. 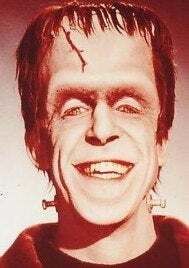 The fact is I've been dreaming of doing a 'Frankenstein' movie since I was a child. The one thing I can promise is, compared to Kenneth Branagh, I will not appear shirtless in the movie!